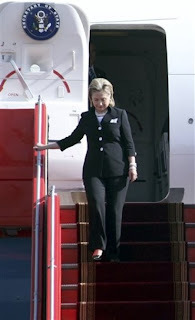 Once again Hillary sees a way forward. Opinion | Hillary Clinton: Mueller documented a serious crime against all Americans. Here’s how to respond. 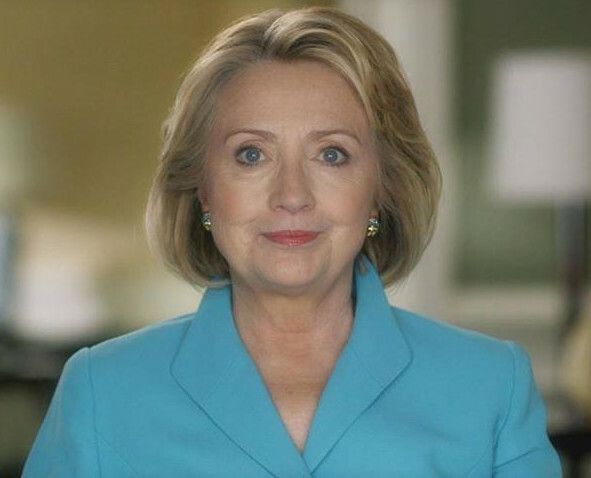 Hillary Clinton was the 2016 Democratic nominee for president. Our election was corrupted, our democracy assaulted, our sovereignty and security violated. This is the definitive conclusion of special counsel Robert S. Mueller III’s report. It documents a serious crime against the American people.The debate about how to respond to Russia’s “sweeping and systematic” attack — and how to hold President Trump accountable for obstructing the investigation and possibly breaking the law — has been reduced to a false choice: immediate impeachment or nothing. 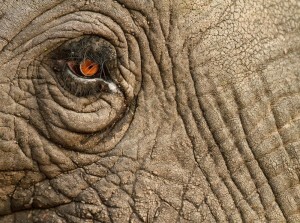 History suggests there’s a better way to think about the choices ahead. 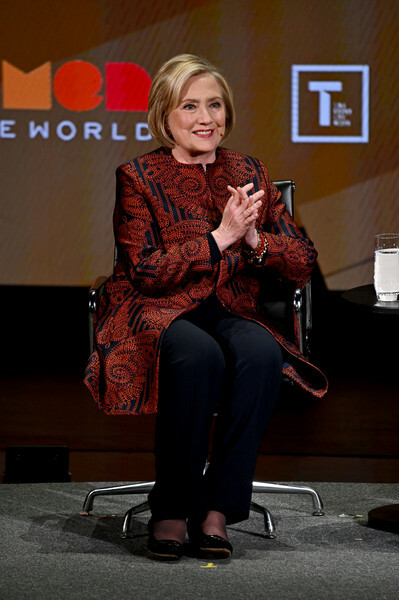 Hillary spoke at the first TIME 100 Summit today. 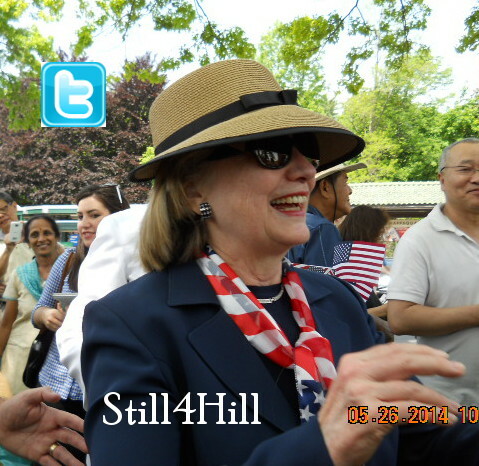 Look for Hillary around the 1:24:35 mark. Four former U.S. secretaries of state shared a stage at Woolsey Hall on April 18 and offered their insights on the state of democracy both at home and abroad. 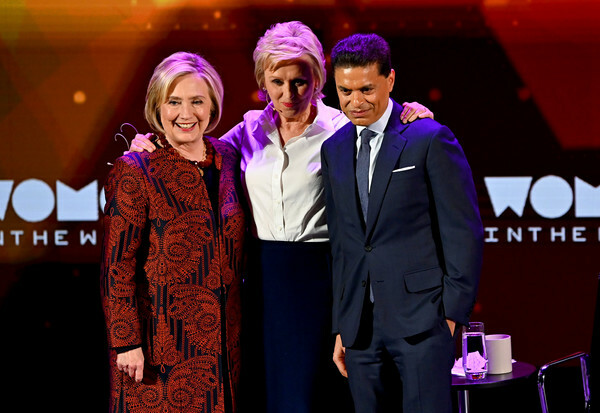 Madeleine Albright, Condoleeza Rice, Hillary Clinton ’73 J.D., and John Kerry ’66 B.A. — four of the nation’s last six chief diplomats — had a nuanced conversation, which Kerry moderated, that touched on a range of issues, including the degree to which political polarization has affected America’s ability to advance its interests, protect human rights, and promote democracy across the globe. The discussion was part of “Challenges to Democracy at Home and Abroad,” a two-day conference hosted by the Kerry Initiative at the Jackson Institute for Global Affairs, an interdisciplinary program that Kerry founded in 2017 to tackle pressing global challenges through teaching, research, and international dialogue. The conference brought together political leaders, journalists, and scholars to approach the problems facing democracy from a variety of angles. Thank you to Yale and my fellow secretaries of state—@Madeleine, @CondoleezzaRice, and @JohnKerry—for yesterday's conversation about America's place in the world. 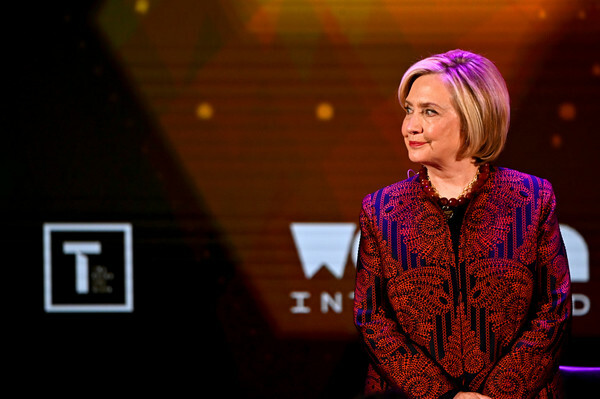 Hillary Clinton, a veteran of TIME’s 100 most influential people who penned the profile of Nancy Pelosi for this year’s edition, will be a featured speaker at the TIME 100 Summit on April 23. 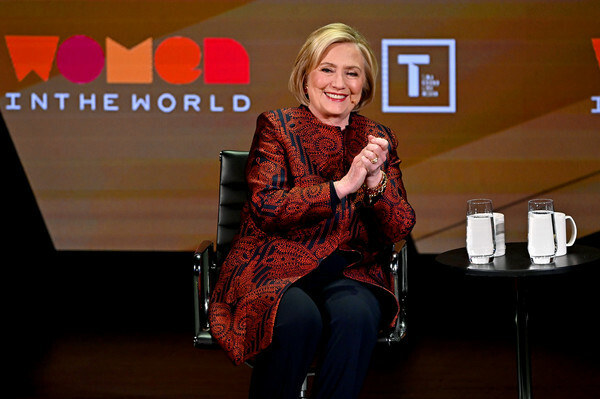 Former U.S. Secretary of State Hillary Clinton will appear at the TIME 100 Summit, the new live event extension of the annual TIME 100 list of the most influential people in the world, on April 23, 2019 in New York, NY. 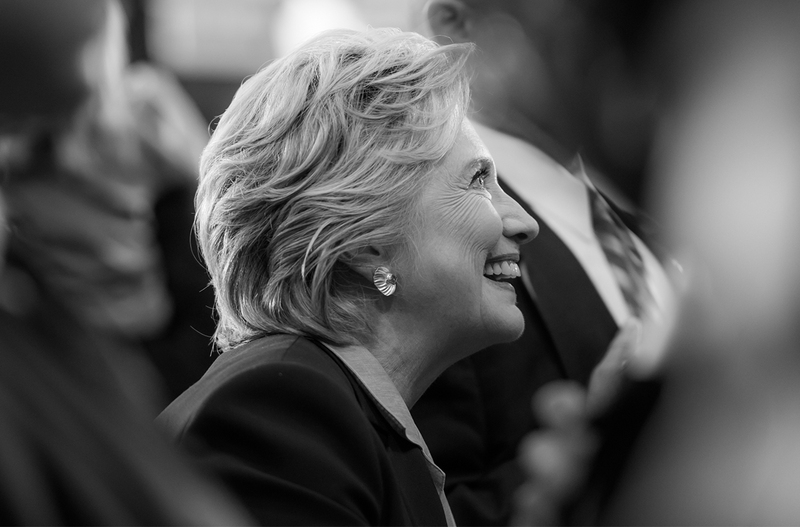 TIME editor-in-chief and CEO Edward Felsenthal will interview Clinton on the future of American politics. The event will also be live streamed at Time.com/summit. The pair shared stories of their time in political office as well as tackling some hot-button topics. 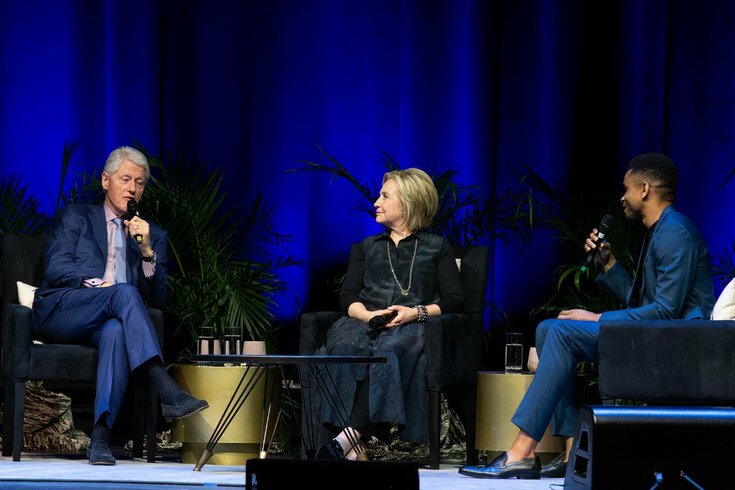 PHILADELPHIA (CBS) – Former President Bill Clinton and former and Secretary of State Hillary Clinton were in Philadelphia Saturday night as part of their North American speaking tour. The couple spoke at The Met Philly on Broad Street. Before an audience of ticket-buyers, the democratic stalwarts spoke about politics and the Super Bowl winning Eagles. 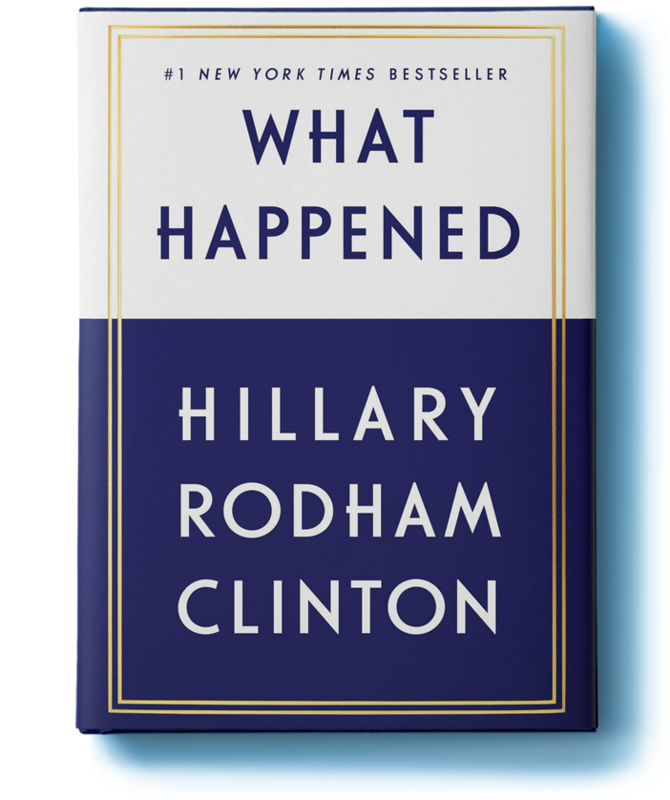 The Clintons shared other stories and anecdotes from their time in public service. 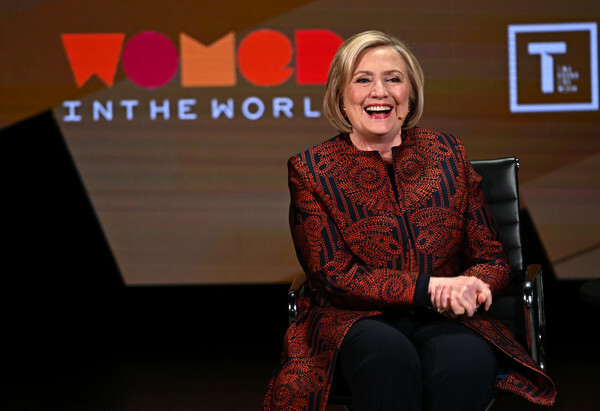 Hillary was the final speaker at the 10th annual Women in the World Summit on Friday, April 12. 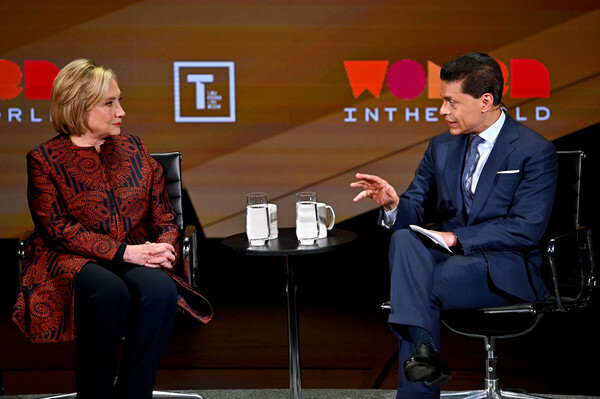 She was interviewed by Fareed Zakaria. 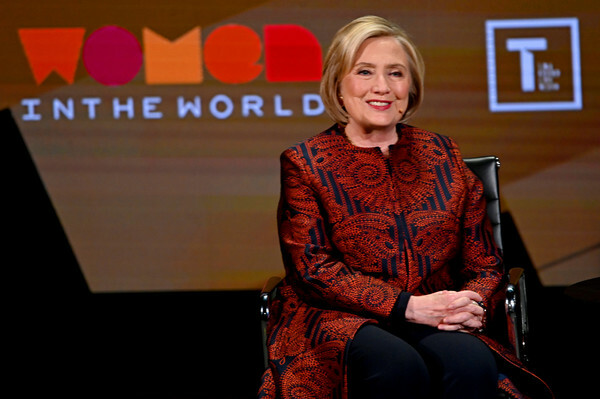 In a conversation that had the audience cheering her on, the former secretary of state talked to Fareed Zakaria about the mess we’re in — and how women can help us get out of it. 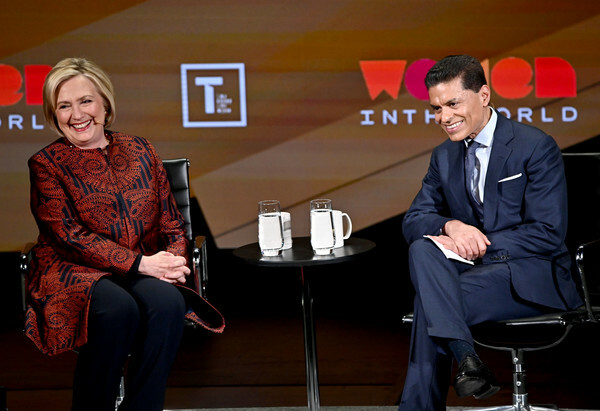 Hillary Clinton and Fareed Zakaria at the 2019 Women in the World Summit. 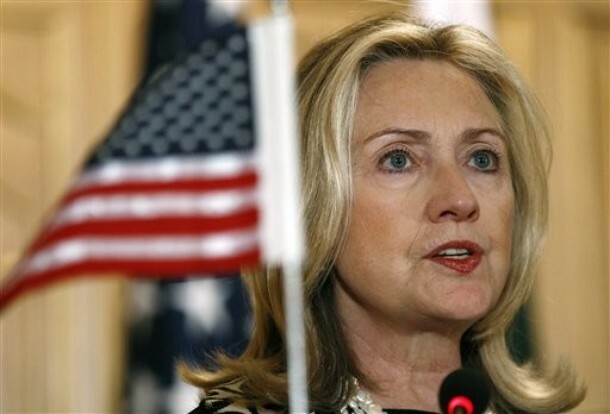 Hillary Clinton was not going to pick a Democratic favorite. 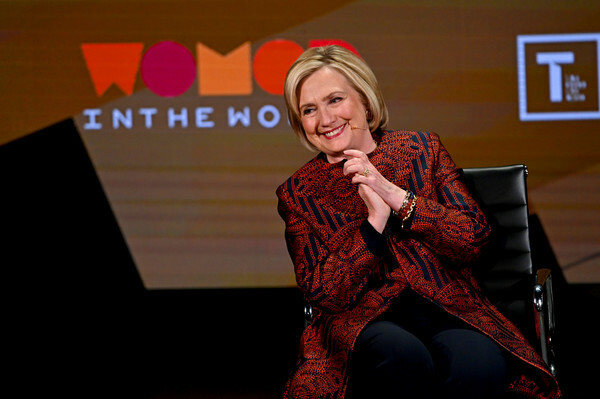 “I am absolutely delighted to see this incredibly diverse field, and especially to have more than one woman running for President of the United States,” said the former secretary of state, four years to the day since launching her own presidential campaign. 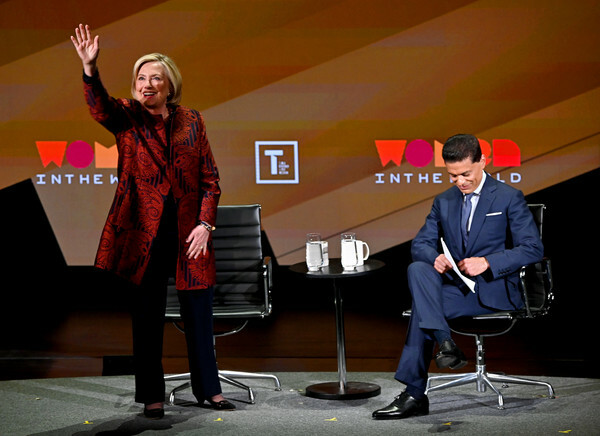 In a surprise interview with CNN host and newspaper columnist Fareed Zakaria that concluded the 10th annual Women in the World Summit in New York, Clinton would, however, offer a little advice to the 18 Democrats who have announced so far. 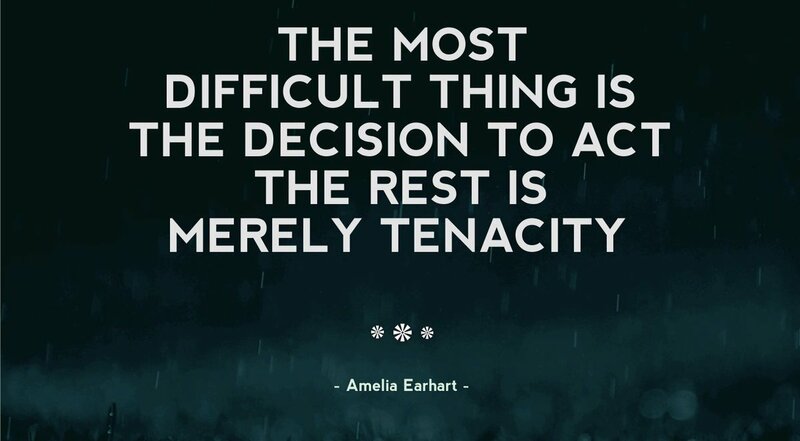 “I think you really have to do two things simultaneously, and it’s challenging,” she said. Tonight Bill and Hillary Clinton held their conversation at the Fox Theatre in Detroit. Ben Stiller hosted.